When fifth grade students leave for Cispus outdoor school, they are going to an unfamiliar place, with many students they don’t know. Camp counselors make the experience less frightening, helping fifth graders with everything from getting up on time to learning outdoor skills. 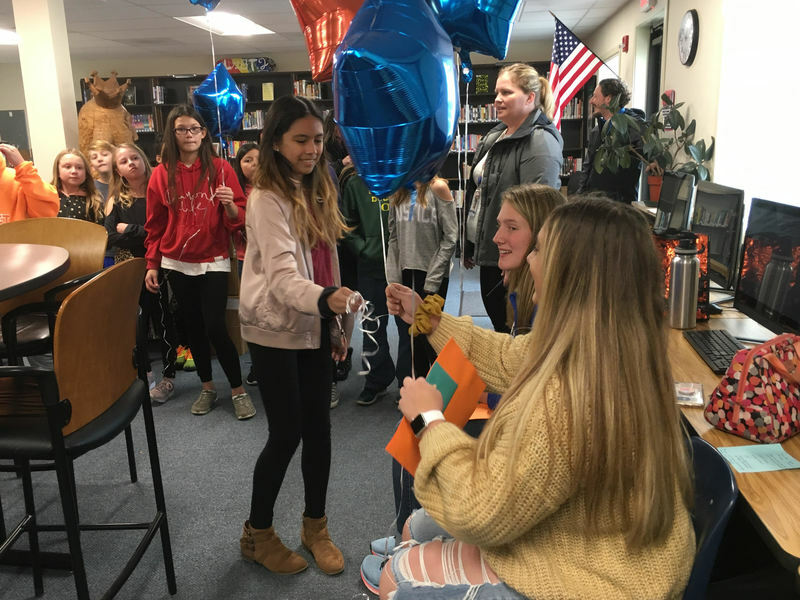 Teacher Erika Muir brought her fifth-grade class to Ridgefield High School to say a special thank you to the counselors who made their time at Cispus special. The students walked over from Sunset Ridge Intermediate School with handmade cards and Spudder colored balloons. “So, why are we here?” Muir prompted. “To say THANK YOU!” the students responded. Some students shared the things they appreciated about their counselors. “How nice they were.” “He helped me build a shelter.” “She tried to help me fix my camera.” “They got up earlier than us.” There were a lot of smiles as they remembered their week at Cispus. Counselors Gracie Bisila and Mia Tomillo receive cards and balloons. 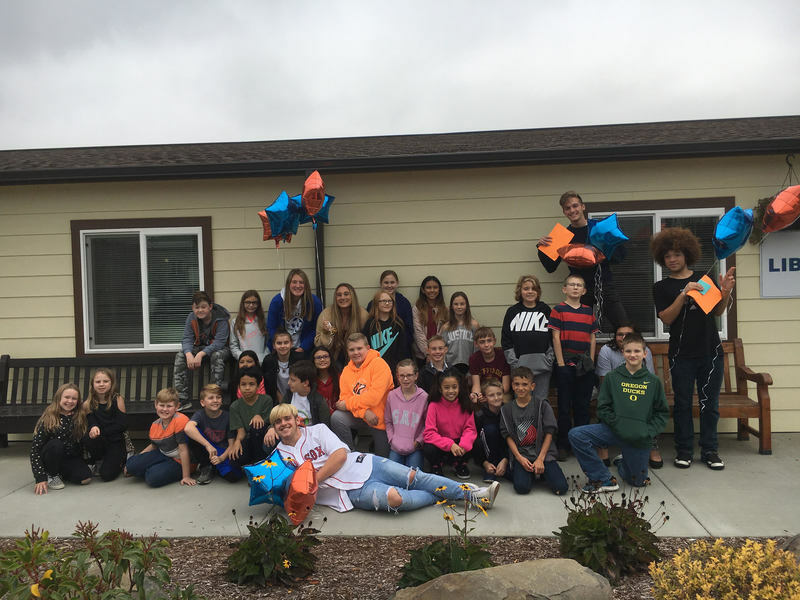 Erika Muir's fifth grade class with their Cispus counselors. 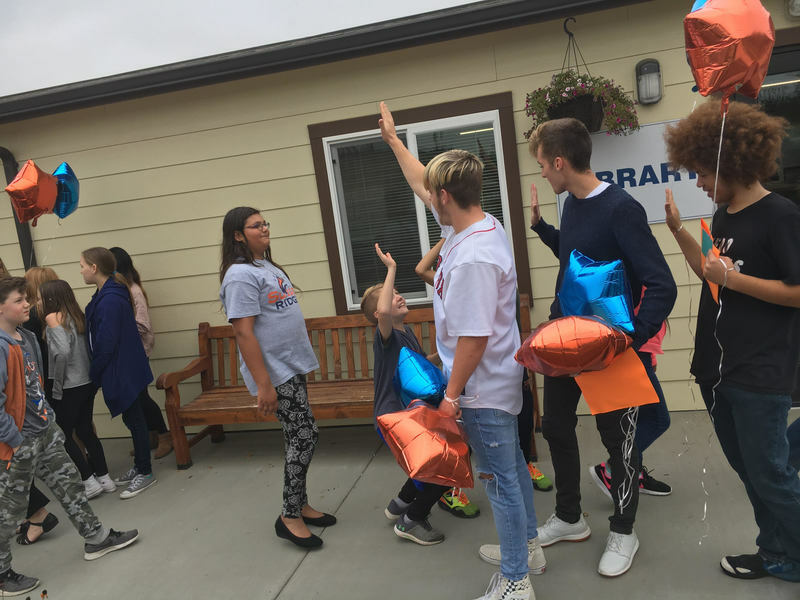 Counselors Ethan Mollet, Liam McKenna, and Clexious Mendoza high-five Cispus students. The students and counselors posed together for a happy picture outside. And as the kids left to walk back to their schools, the counselors made an impromptu line to high five them, adding another great moment to their Cispus experience.